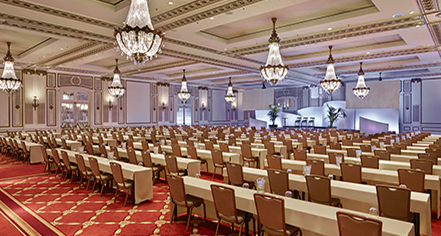 The Palace Hotel showcases a total of 45,000 square feet of meeting and event space with unparalleled beauty and state of the art technology. 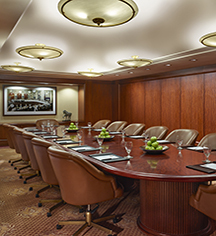 The well planned space includes three gorgeous ballrooms, meeting rooms, executive boardrooms, and a self contained conference center. The Palace Hotel is committed to sustainable business practices and to reducing their carbon footprint. For years, the Palace has initiated use of new and innovative systems. The Palace is known throughout the city of San Francisco as a leader of environmental efforts - both within the hospitality industry and the local business community. Green choice options are available to all guests of the Palace Hotel.